White puffy clouds against an azure sky presents the perfect imagery for a tarot bag designed to represent the element of Air. 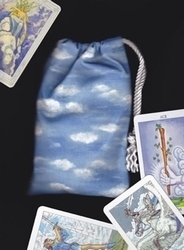 Almost all tarot decks show some clouds or blue skies. 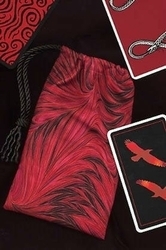 Certainly the Thoth and Rider-Waite decks and their clones do so in their suit of Swords and other card illustrations. 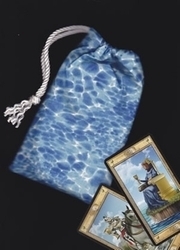 This bag is an ideal general purpose tarot bag because it easily coordinates with numerous decks. Are you an "outdoorsy person," a lover of nature, or a person that feels especially connected with the element of Air? 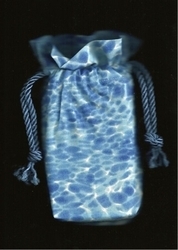 If so, this is a must-have bag for you! 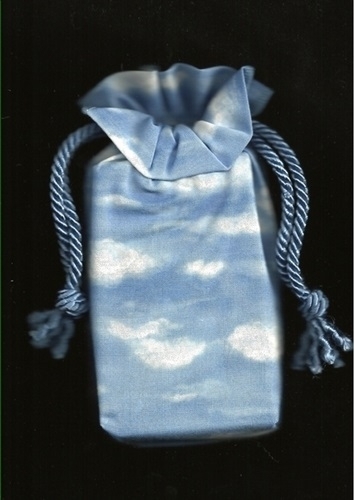 Astrological signs associated with AIR are Gemini, Libra, and Aquarius.